Horseradish is a perennial root crop, planted from tuberous roots rather than seeds. Once you plant a few cuttings, they take hold quickly, spreading and multiplying year after year. The plants reproduce abundantly, so plant only three to six roots at first. This should be enough for a household of four horseradish lovers. Also, be sure to plant the roots in an area that’s away from the rest of your garden, so you don’t have a horseradish takeover. Homegrown horseradish has a clear, fresh taste and packs more zing than the store-bought variety. It also ranks in the top five easiest-to-grow edible plants because it thrives in almost any condition. This plant is a rugged, cold-hardy perennial that grows best where there’s enough of a winter to force the plants into dormancy. 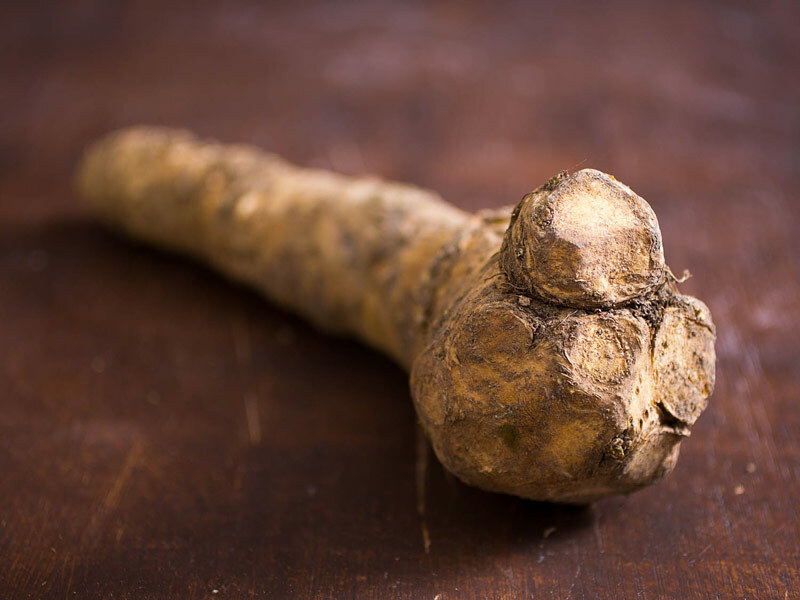 You can choose from two widely available types of horseradish: common horseradish, which has broad, crinkled leaves, and Bohemian, which has narrower, smooth leaves. Horseradish thrives in full sun but tolerates light shade. 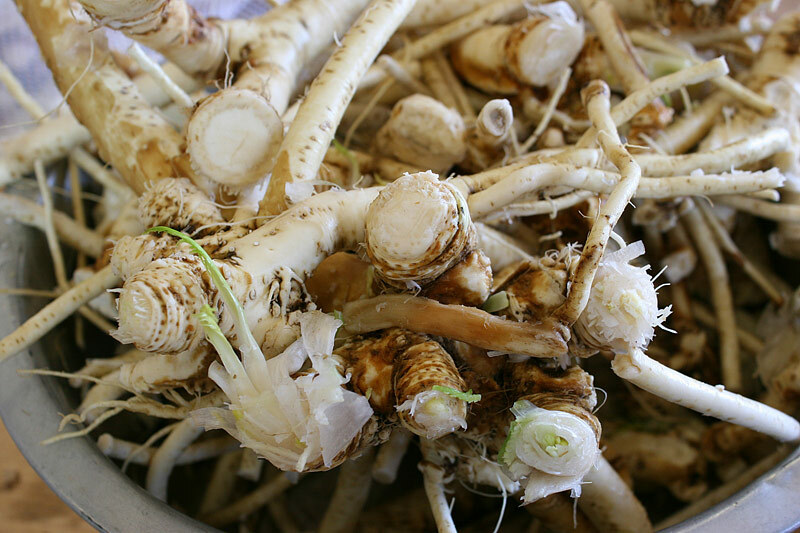 As for soil, horseradish can take almost anything but consistently waterlogged conditions. Site your horseradish in an out-of-the way spot because you won’t want to move this perennial once it is planted. Grow horseradish from plants or root cuttings set out in spring or fall. You won’t be able to find seeds, but roots are often available at farmers’ markets, supermarkets, and retail and mail-order nurseries. (Root cuttings from nurseries generally come precut and just need to be planted.) Cut off the top third to half of the root to use in the kitchen, saving the bottom part to plant. 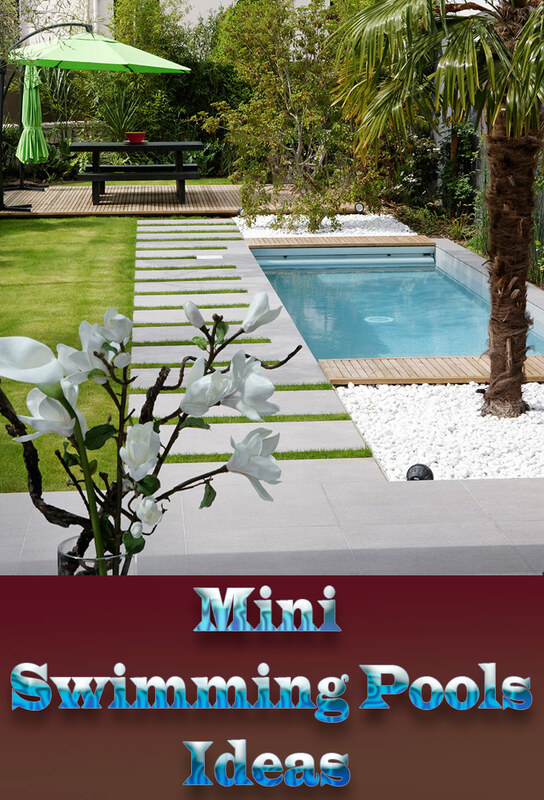 Loosen the soil to 12 inches deep and add a shovelful of compost. Plant the root cutting at a 45-degree angle, with the top of the cutting 2 inches below the soil line. One plant is usually plenty for a family. If you love horseradish so much that you need more than one plant, space them 30 inches apart. 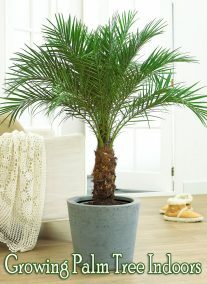 This plant needs little or no attention in order to thrive. To keep the plant from looking ratty, water it once a week during dry spells and use a couple of inches of mulch around the plant to help conserve moisture. You can enjoy your first horseradish harvest one year after planting. Carefully dig away the soil from around the main root, taking care to free up the side roots and remove them at the same time. For the best yields, Oregon State University recommends harvesting after frost kills the foliage. 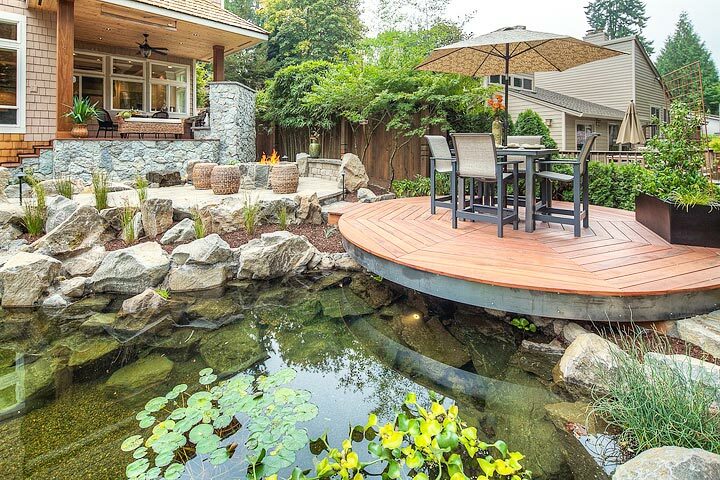 Scrub the main root under running water and dry well. 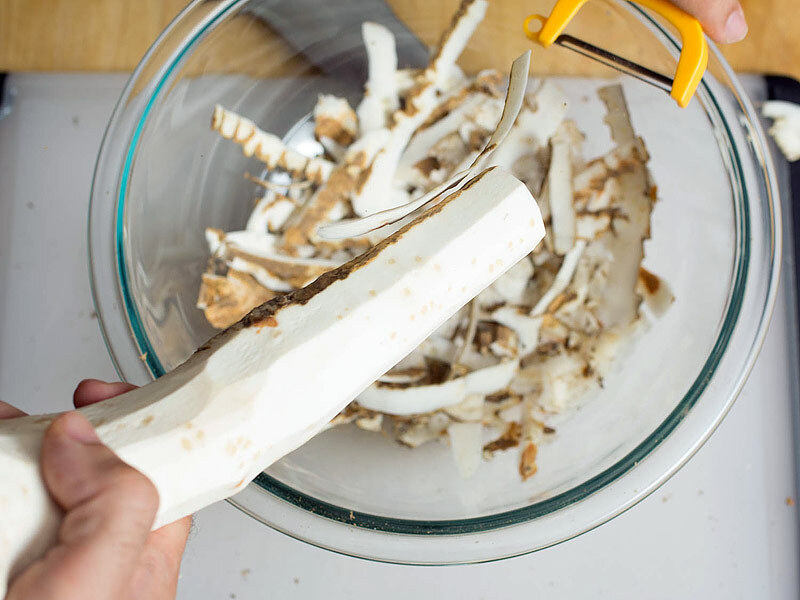 If enclosed in a perforated plastic bag, horseradish root will keep in the vegetable bin of your refrigerator for three months or even longer. Newbie hint: For smoother, straighter, fatter roots, the University of Illinois recommends removing the suckers—leaf-bearing sprouts that form above ground. 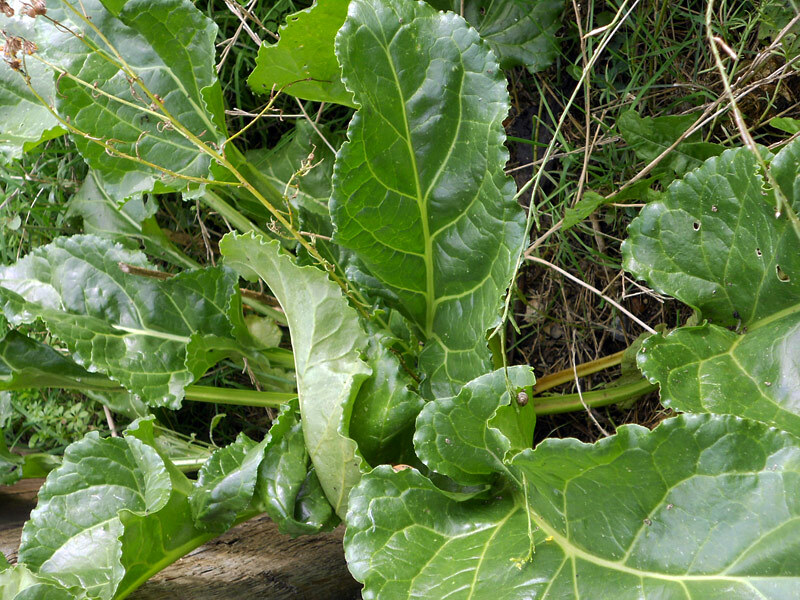 When the plants are about 8 inches tall, use a sharp knife to cut off the suckers, leaving only three or four at the center of the crown. 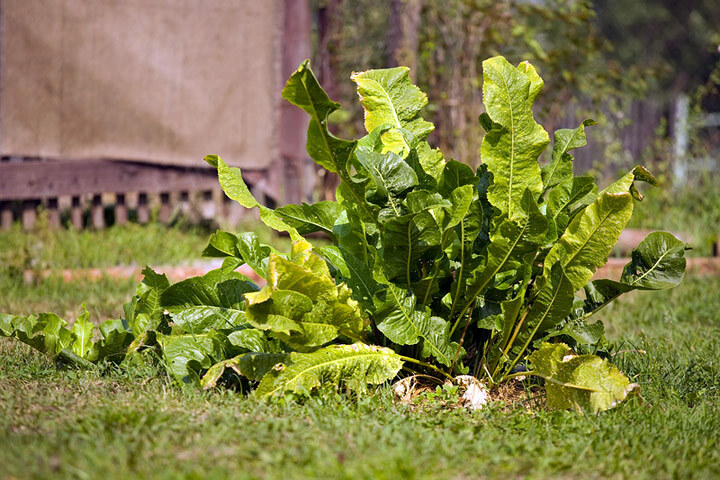 The most common issue gardeners face with horseradish is not how to grow it but how to keep it from growing where they don’t want it. To control its spread, remove the entire root, including its branches, when harvesting. Then replant only the number of roots you desire as plants for the following season. Whatever you do, don’t till up ground containing roots or place roots in your compost pile, because you risk spreading the plant all over the garden. Freshly grated horseradish emits fumes that can make your nose run and irritate your eyes, so prepare it in a well-ventilated area or even outside if your eyes are extremely sensitive. First, peel a 3- to 4-inch section of root as you would a carrot. Cut it into half-inch chunks and drop them in a blender or food processor. Add 1/4 cup cold water and a bit of crushed ice and grind to a fine texture. Customize the heat of your horseradish sauce by adding white-wine or rice-wine vinegar. For mild horseradish, add the vinegar immediately, either right after grinding is complete or as you are still grinding. If you like stronger flavor, wait 3 minutes to add the vinegar. Add 2 to 3 tablespoons vinegar and 1/2 teaspoon salt for each cup of grated horseradish. In either case, pulse the machine to blend in the final ingredients. If your preparation has too much liquid, simply drain some of it off through a fine strainer until you get the consistency you want. Store your fresh horseradish in a clean jar in the refrigerator, where it will keep for 4 to 6 weeks. 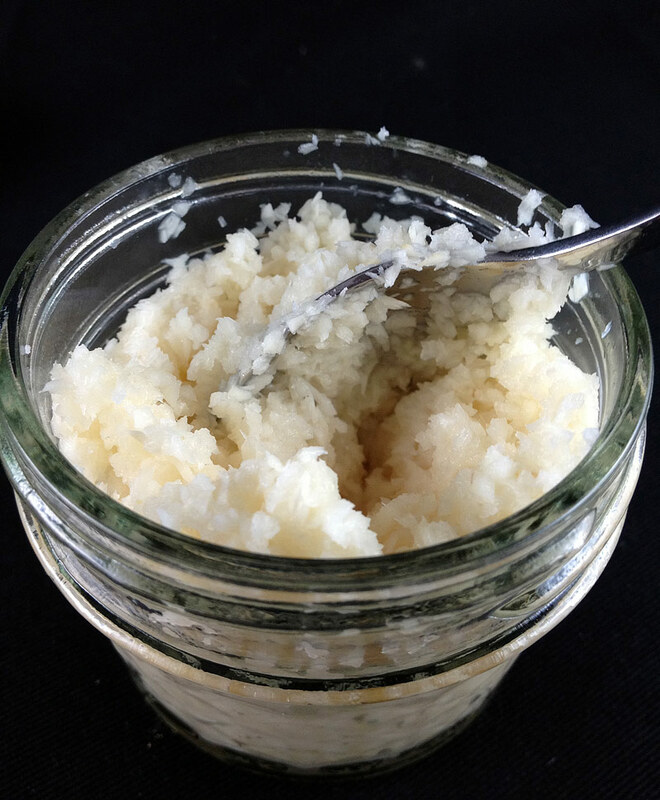 Master’s tip: Grating horseradish crushes the cells of the root, releasing the volatile oils (isothiocyanates), which give horseradish its heat. Adding vinegar stops this enzymatic reaction. The longer you wait to add the vinegar, the hotter your prepared horseradish will be. Most of us know horseradish as a classic accompaniment to hot or cold roast beef. Here are more imaginative ways to use the inimitable flavor of homemade horseradish. When using horseradish in hot dishes, add it just before serving, as cooking destroys its flavor. Mix homemade whipped cream with a bit of sugar, lemon juice, and horseradish for a heavenly accompaniment to steamed fresh asparagus spears. Blend with yogurt, sour cream, or crème fraiche to make a delicious dip for raw vegetables. Add fresh herbs to taste. Mix a bit into softened butter, along with chopped chervil, and serve on a grilled steak or melted over steamed beets. Stir a teaspoon into homemade mashed potatoes. Use a lemon zester to grate a few threads right off the root to make a pungent garnish for grilled fish, especially salmon and fresh tuna. Add to your favorite homemade or prepared barbecue and shrimp cocktail sauces.